Sebring Mach 1 Mirrors by Vitaloni. The same mirror can be used for right or left side use. This allows you to purchase just one spare to cover both sides of the car. 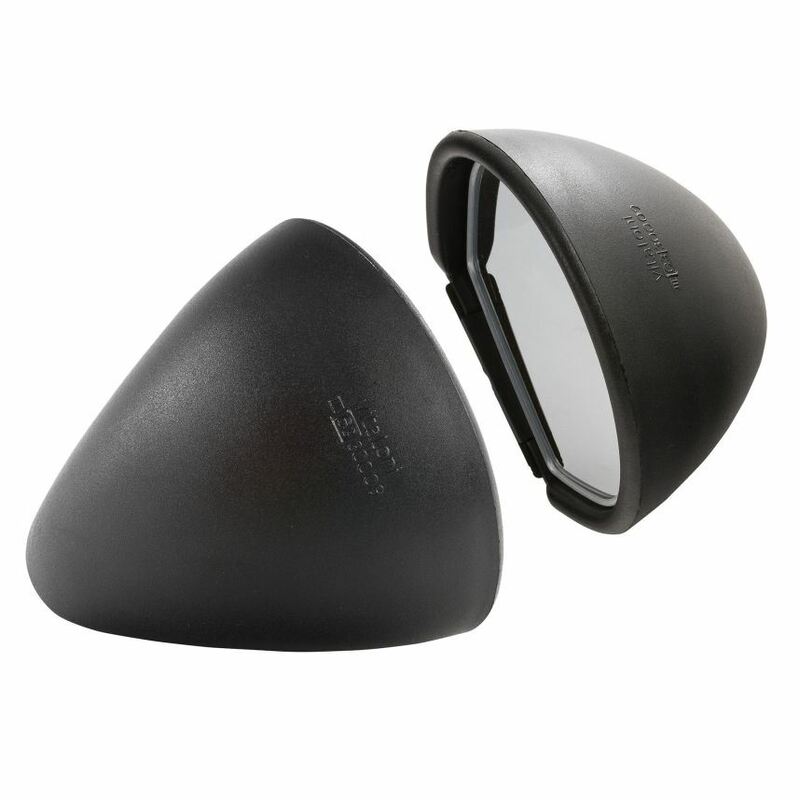 The wide-angle convex mirror lens is mounted on a ball socket within the black plastic housing, so it can be manually adjusted. Lens measures 3" high in the center x 5" wide at the widest point.